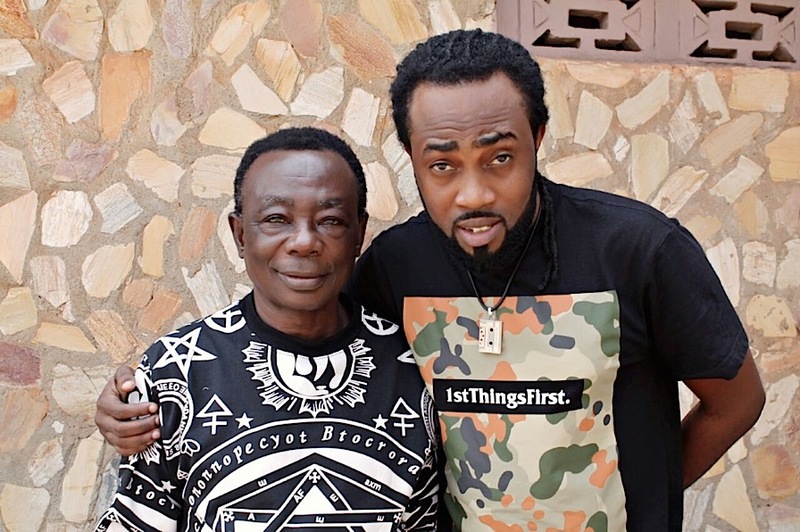 Ghanaian solo artiste known in real life as Nana Kwasi Ayeh aka Paa Kwasi, has paid a courtesy call to High Life veteran Obuoba JA Adofo. Paa Kwasi visit was to thank the veteran for paving the way for him to also do a sample of his hit song titled Akwanobia. Paa Kwasi latest high life jam dubbed “Y3 Brodada”, has really enjoyed by many scores ofd patrons. The song, which was leaked by his producer George O’tion has enjoyed massive airplay on radio platforms. The veteran who welcomed the Chritsy hit maker led singer [Paa Kwasi] was stunned after hearing the song and really enjoyed it. According to the ace musician am happy to see you and also what you did is the right thing. “I can’t charge you [Paa Kwasi] but the song is really nice, he admitted”. On his part, the Nipadasani singer thanked Mr. Adofo for his blessing and also endorsing his latest song. Paa Kwasi sampled a hit song by the veteran titled “Ankwanobi” which fans are waiting keenly for the much anticipated video.